Controversy exists regarding the use of cement for hemiarthroplasty to treat displaced intracapsular hip fractures. The aim of this systematic review and meta-analysis was to compare the clinical outcomes between contemporary cemented and contemporary uncemented hemiarthroplasty for the treatment of displaced femoral neck fractures. Literature searches of PubMed, Scopus, Web of Science, and Cochrane Central, up to May 2017, were performed. 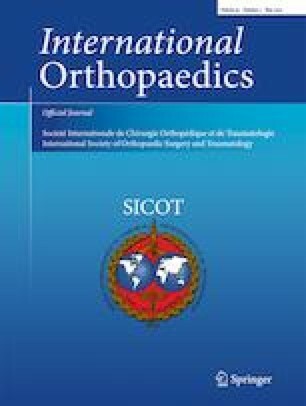 We included randomized controlled trials (RCTs) and observational studies comparing contemporary cemented with contemporary uncemented hemiarthroplasty. Data were pooled as mean difference (MD) or risk ratio (RR) with 95% confidence interval (CI) in a meta-analysis model. Studies with the Thompson and Austin Moore prostheses were excluded. A total of 29 studies (9 RCTs and 20 observational studies), with a total of 42,046 hips, were included. Meta-analysis showed that the cemented group was associated with fewer periprosthetic fractures (RR = 0.44, 95% CI [0.21, 0.91]), longer operative time (MD = 11.25 min, 95% CI [9.85, 12.66]), more intraoperative blood loss (MD = 68.72 ml, 95% CI [50.76, 86.69]), and higher heterotopic ossification (RR = 1.79, 95% CI [1.11, 2.88]) compared with the uncemented group. Meta-analysis showed no significant difference in terms of post-operative hip function, hip pain, reoperation rate, prosthetic dislocations, aseptic loosening, wound infection, and hospital stay. This meta-analysis shows that contemporary cemented prostheses have less intra-operative and post-operative fractures, but longer operative time, more intra-operative blood loss, and heterotopic ossifications. Otherwise, there were no significant differences between both groups.